To Earn an English Degree Online, follow the Universities link below. Or translate English to other languages using this concise guide. 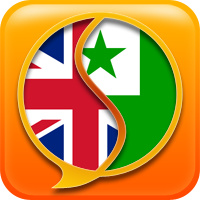 This particular page is about the Esperanto language, and features the 100 most common words in English, along with their Esperanto translations. Also included are a dozen common phrases translated from English to Esperanto. Esperanto is the largest "artificial" language in the world, with already many thousand "native" speakers. Esperanto was constructed in 1887, and was intended to be a universal language. Ĉu vi povas direkti min al ...?